Big Brothers Big Sisters asks volunteers in the Pittsburgh Public Schools about their sexual orientation, religion. Does that violate district policy? Should volunteer mentors for public school students be required to disclose their sexual orientation? Do religious beliefs play a role in a mentoring relationship? And how much does a potential volunteer need to disclose about mental health issues? Those are among the questions that came up after the disclosure at a recent Pittsburgh Public Schools board meeting that Big Brothers Big Sisters of Greater Pittsburgh asks potential mentors about their sexual orientation, religious affiliation and mental health. School board member Moira Kaleida brought the issue to light and said she considers the queries to be a form of bigotry and questioned whether the district should end its relationship with the organization. Big Brothers Big Sisters provides 500 volunteer adult mentors to Pittsburgh students and 1,512 mentors across Allegheny, Washington and Greene counties. 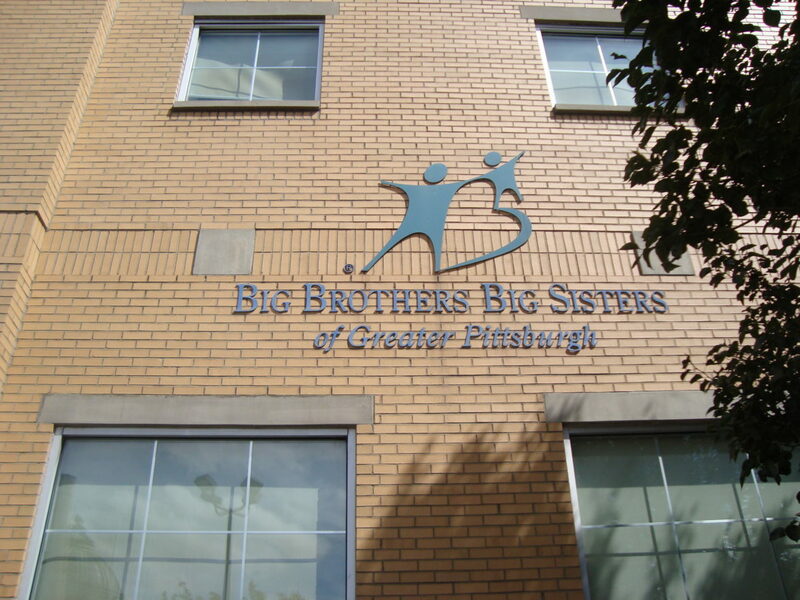 Jan Glick, chief executive officer of Big Brothers Big Sisters of Greater Pittsburgh, said the national Big Brothers Big Sisters established the questions and they are asked of mentor candidates nationally as part of the screening process. Glick defended the practice, saying that Big Brothers Big Sisters uses information gathered to make appropriate matches between children and adults. Glick was not present at the board meeting because she did not know the issue would be discussed. She has written a letter to the school board explaining how Big Brothers Big Sisters uses the information asked in the interviews to make appropriate matches not to discriminate. Glick plans to attend the board’s monthly public hearing at 6 p.m. Monday, Sept. 17, to explain the practices of her organization. To get on the agenda to speak, individuals must call the district by noon Monday at 412-529-3868. When the issue came up at the Sept. 12 agenda review meeting of the school board, David May-Stein, the district’s chief of school performance, said the practice of asking the questions could be in violation of district policies. The board directed administrators and district solicitor Ira Weiss to investigate the issue. Weiss said he hoped to have a decision on the matter by the Sept. 24 legislative meeting of the board. The issue was not on the agenda at the Sept. 12 meeting. But a proposed motion under review called for adding five new organizations to the list of 90 groups already providing mentors for district programs. Big Brothers Big Sisters already was on the list of approved organizations and has provided mentors to the district for 15 years, Glick said. Of the 500 mentors Big Brothers Big Sisters supplies to Pittsburgh Public Schools, about 300 serve the Mentor 2.0 program at Brashear High School. The Brashear program is geared toward keeping students on track to graduate and develop skills they will need to succeed in post-secondary education. Mentors also serve elementary and middle school students in other Pittsburgh schools. Mentors meet with students at the schools and participate in the programming provided by Big Brothers Big Sisters. The pairs also play games, do crafts and other leisure activities. Big Brothers Big Sisters also operates a community mentoring program through which adults are matched with children who they meet at their homes and take out for activities in the community. Kaleida said the proposed agenda item about expanding the list of mentoring organizations prompted her to raise concerns about the questions Big Brothers Big Sisters asks of potential volunteers. She learned of the questions when her father, Kenneth Kaleida, recently went through the vetting process to become a volunteer mentor with Big Brothers Big Sisters. Kaleida said her father, a retired school counselor from City Charter High School and former director of Outreach Teen and Family Services in Mt. Lebanon, felt the questions about sexual orientation, religion and mental health were intrusive and inappropriate. In an interview with PublicSource, Kenneth Kaleida said he became concerned when during his interview with Big Brothers Big Sisters in late July he was asked if he was gay. “I expressed that I wasn’t going to answer and explained why. I’ve done a lot of interviews and there’s questions you don’t ask people and that’s one of them. And in the context of the times we live in and what people who are gay and lesbian have gone through, that’s a question that would obviously trigger a reaction that you are screening,” Kenneth Kaleida said. Later in the interview, he said he was asked if he was being treated for any mental health conditions, if he was married and if he had children,questions he also found to be inappropriate. Kenneth Kaleida said that shortly after his interview he sent an email shortly after his interview to the staff member who performed his interview stating that he no longer wanted to volunteer for the organization because of the questions. As a result, Glick called him to explain that the information is gathered in order to make appropriate matches between the adult mentors and children. Kenneth Kaleida said Glick indicated that some parents do not want their children around gay people or people of certain religious faiths. “My response was: You don’t capitulate to people’s worst instincts,” he said. Glick told PublicSource that it’s true some parents say they don’t want their children matched with LGBTQ individuals or those of a particular religion or race. But there are also parents who make requests for mentors of a specific race, religion, sexual orientation or education level. Glick gave the example of black families seeking a mentor who is a black college graduate to be a positive role model. “Clearly we have a large number of gay and lesbian matches. We don’t discriminate due to race, gender, religion or sexual orientation,” Glick said. Glick said Big Brothers Big Sisters of America has a specific LGBTQ programming component that has been useful in places like Cincinnati, where there has been an influx of transgender children in the program. Kenneth Kaleida said his interviewer did not preface the questions as optional and that he was caught off guard by the abruptness of the question about his sexual orientation. Glick said the mental health question they ask of prospective mentors is: Are you currently receiving any counseling or therapy or prescribed medication for mental health purposes? “The mental health question is very important because someone who is in a mental health crisis should not be a mentor at that particular time,” Glick said, adding that her organization also asks about physical health issues. Declining to answer any of the questions does not automatically disqualify a candidate from becoming a volunteer, she said. The process also takes into account recommendations and the clearance of a criminal background check. Colleen Fedor, executive director of The Mentoring Partnership of Southwestern PA, an umbrella group that provides resources to mentoring organizations, said Big Brothers Big Sisters provides high-quality mentoring programs that are based on best practices. “We know they are committed to building meaningful and effective mentoring relationships and are responsible for efforts that connect thousands of students with caring adults to support increased academic and personal growth,” Fedor said. But Moira Kaleida said she is not comfortable with the district using a provider that asks questions about sexual orientation, religion or mental health.